In the context of Google Analytics, a custom campaign is your website URL which contains UTM parameters. Through custom campaigns you can send detailed information about your marketing campaigns to Google Analytics. For example, if you are running various ad campaigns on Facebook, you by default cannot evaluate the performance of each individual Facebook campaign in Google Analytics. 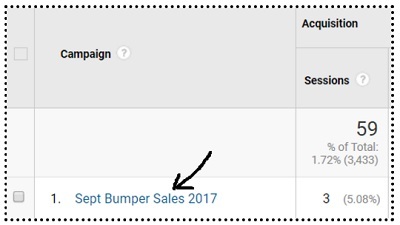 All you will see, by default in GA, is the traffic and sales from dozens of Facebook referrers. These UTM parameters have the power to overwrite the original referrer and send that information to GA which cannot be sent otherwise. But before we move forward with custom campaigns, you would first need to understand query string and ‘parameters’. The query string is made up of one or more parameters and each parameter is made up of ‘key=value’ pair. URL Parameters are sometimes referred to as ‘variables’. So just like a parameter, a variable is also made up of ‘key=value’ pair. Not all URL parameters are the same. #1 Dynamic URL Parameters – These parameters are dynamically added to your web page URL (by your web server) during runtime / page load so that the page render correctly. If you remove one of these parameters then your web page may not display and/or function correctly. URLs which contain dynamic parameters are called dynamic URLs. A web page which has got dynamic URL is auto generated during run time. That is why such web pages are also called ‘dynamic web pages’. It is not usually hard to find URLs which contain dynamic parameters. They are usually abnormally long and contain characters like %, ?, &, + etc. #2 Campaign Tracking Parameters – These parameters are used to pass additional information about a click via a URL. Depending upon the platform being used there can be different types of campaign tracking parameters. Just like any parameter, each UTM parameter is made up of ‘key=value’ pair. Then ‘utm_source’ is the key and ‘facebook’ is the value. Then ‘utm_medium’ is the key and ‘paidSocial’ is the value. Note: UTM parameters are also called ‘Campaign tracking parameters’ or ‘Custom Campaign tracking parameters’. #1 utm_source – This key is used to send the information related to traffic source of a custom campaign to Google Analytics. #2 utm_medium – This key is used to send the information related to traffic medium of a custom campaign to Google Analytics. #3 utm_campaign – This key is used to send the information related to custom campaign name to Google Analytics. #4 utm_term – This key is used to send the information related to campaign term (paid search keyword) to Google Analytics. #5 utm_content – This key is used to send the information related to campaign content (ad version) to Google Analytics. All of these keys have got special meaning for Google Analytics and are case sensitive. So ‘utm_source’ is not the same as: Utm_source’ or ‘utm-source’, ‘utm_Source’ or ‘UTM_SOURCE’ or ‘utmsource’. You need to strictly follow the format/syntax of how each key is spelled/written. So if you use ‘Utm_source’ instead of ‘utm_source’, Google Analytics won’t understand the key and your custom campaign tracking may not work. There is no particular order in which UTM parameters’ ‘keys’ should be used in a URL. You can use any order you like. A value of a UTM parameter should depend upon the key being used. ‘utm_source’ key is used to send the information related to traffic source to Google Analytics. So its value should be something which denotes traffic source (i.e. origin of the traffic). This traffic source can be system defined or user defined. A System defined traffic source is the one which Google Analytics already recognize as the known source of traffic. Here the traffic source is ‘google’ and medium is ‘organic’. All system defined traffic sources in GA are (by default) in lowercase and case sensitive. 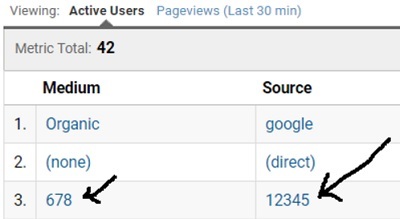 So for Google Analytics, the traffic source ‘google’ is different from ‘Google’. Once you change the case /spelling of a system defined traffic source, it becomes a user defined traffic source and is reported separately by GA. Here the traffic source is ‘Google’ (and not ‘google’) and medium is ‘organic’. So if you are planning to use a system defined traffic source as the value of ‘utm_source’ key, then be very careful about how you spell the traffic source name and what case (lowercase, uppercase, camelcase) you use. One small mistake and your system defined traffic source will be treated as user defined traffic source by GA.
A user defined traffic source is the one which is defined by people like you and me and which is by default, not recognized by GA. Here ‘facebook campaign’ is a user defined traffic source. Note: You can use white spaces to separate two or more words in the values of UTM parameters. Just make sure that you use %20 instead of a single white space, while building the custom campaign. So if you are expecting to get traffic from facebook (as you are running Facebook ads), you can use ‘facebook.com’ as the value of ‘utm_source’. All system defined traffic medium in GA are (by default) in lowercase and case sensitive. 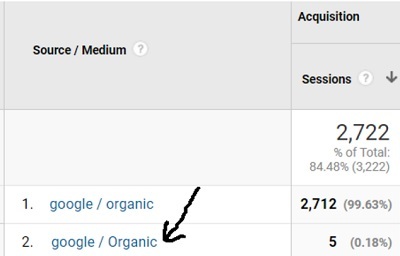 So for Google Analytics, the traffic medium ‘organic’ is different from ‘Organic’. Once you change the case /spelling of a system defined traffic medium, it becomes a user defined traffic medium and is reported separately by GA. 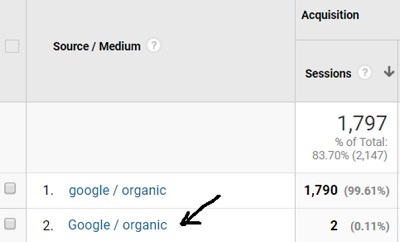 Here the traffic source is ‘google’ but the traffic medium is ‘Organic’ (and not ‘organic’). So if you are planning to use a system defined traffic medium as the value of ‘utm_medium’ key, then be very careful about how you spell the traffic medium and what case (lowercase, uppercase, camelcase) you use. One small mistake and your system defined traffic medium will be treated as user defined traffic medium by GA.
A user defined traffic medium is the one which is defined by people like me and you and which is by default, not recognized by GA. Here ‘paidsocial’ is a user defined traffic medium. 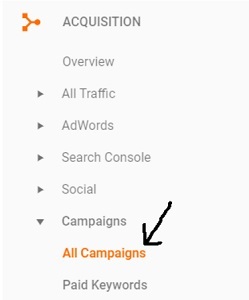 You can send information related to custom campaign name to Google Analytics via the ‘utm_campaign’ key. No matter what campaign name you select, make sure that you remain consistent with its spelling, format and case. For GA, ‘BookPromo’ is a different campaign than ‘bookpromo’. The best way to maintain consistency with the name, spelling, case and format of campaign names, is to maintain Google Sheet or Excel spreadsheet of all the tagged URLs and always use lower case. Use short and descriptive words as the name of your custom campaign. 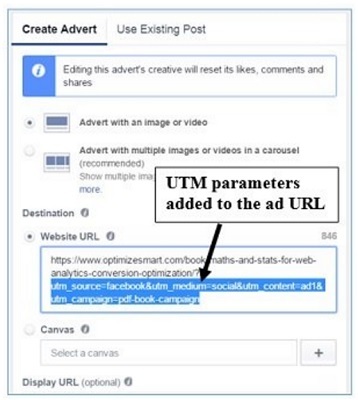 If you are running a Facebook campaign, you can use the name of the Facebook campaign as the value for ‘utm_campaign’. If you are running an email campaign, you can use the name of the latest promotion as the value for ‘utm_campaign’. Similarly, if you are running a Twitter campaign, you can use the name of the Twitter campaign as the value for ‘utm_campaign’. The utm_term key is used to send the information related to campaign term (paid search keyword) to Google Analytics. The value of this key is often the paid keyword you are bidding on. The utm_term key if often used when you are manually tagging paid search campaigns. However feel free to use this key, the way you want. However just remember that you should remain consistent with the spelling, format and case of the values of ‘utm_term’ key. The utm_content key is used to send the information related to campaign content (ad version) to Google Analytics. For example if you have got two banner ads with same ad copy, call to action but different graphic, you can use ‘utm_content’ key and set different values for each, so you can later determine which ad version is more effective in terms of driving traffic and sales. Note: The use of the campaign parameters: ‘utm_term’ and ‘utm_content’ in an ad URL is optional. However the use of campaign parameters: ‘utm_source’, ‘utm_medium’ and ‘utm_campaign’ is required. Note (1): A URL which contains both dynamic and campaign tracking parameters is still considered as ‘custom campaign’. As long as the campaign tracking parameters have been added to the URL, the URL is a custom campaign. Note (2): You can hide UTM parameters from a URL and can still use the UTM parameters in the background. The simplest way to do that, is to use a URL shorterner tool like bit.ly or use the ‘lookup table’ in Google Tag Manager. A website URL which contains campaign tracking parameters is also called ‘tagged URL’. A URL which does not contain campaign tracking parameters is called ‘untagged URL’. A URL which contains ‘GCLID’ parameter is called auto-tagged URL. GCLID stands for ‘Google Click ID’. 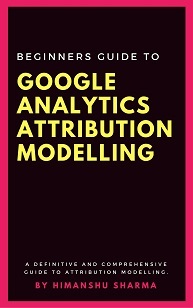 It is a unique ID used by Google Analytics to track and display Adwords clicks in your reports. The ‘GCLID’ parameters are automatically added to the end of the destination URLs of your Google Adwords ads by Google (provided auto-tagging feature is turned on). Google strongly recommend that you use auto-tagging. Note: Technically speaking, GCLID parameter is not a campaign tracking parameter though it is used to track the performance of Adwords campaigns. We used the word ‘manually tagged’, only in the context of ‘auto-tagging’. Tagging a URL means, adding tracking parameters to it. You can do this tagging manually or automatically. When you are not using the auto-tagging feature of Google Adwords to tag a URL, you are manually tagging the URL. A manually tagged URL is the one which contains campaign tracking parameters but not GCLID parameter. Note: Adding campaign tracking parameters via URL builders is also referred to as manual tagging. URL builders are tools through which you can automatically append campaign tracking parameters to the end of the your website URLs. 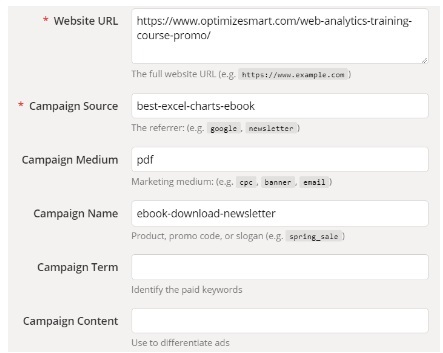 When you use a URL builder tool to tag a URL, you just need to enter the ‘values’ of your campaign tracking parameters. You are less likely to make a mistake while tagging URLs, if you use a URL builder tool. This is the advantage of using a URL builder. Note: If you use Adwords auto-tagging then you don’t need to use URL builder tools. The auto-tagging feature will automatically add GCLID parameter to the end of the your ad URLs. Google Analytics terms of service, prohibits sending PII to Google Analytics server via campaign tracking parameters. The URL above is used to send house address, email address and ip address of a user to Google Analytics server and thus violates GA terms of service. utm_source is the ‘key’ of the campaign tracking variable. facebook is the ‘value’ of the campaign tracking variable. Since campaign tracking variables are also known as ‘tags’, ‘tagging a URL’ means adding campaign tracking variable(s) to it. An internal link is a URL which when clicked, takes a user from one web page to another web page and both the source and destination web pages are hosted on the same website/primary domain. For example, a link from product category page (hosted on your website) to a product detail page (also hosted on your website) is an internal link. Similarly, a link from one of the web pages of your sub-domain (say blog.abc.com) to a page hosted on your primary domain (abc.com) is an internal link. On the contrary, an external link is a URL which when clicked, takes a user from one web page to another web page and both the source and destination web pages are hosted on different websites/primary domains. For example, a link from a Facebook ad to a product detail page hosted on your website is an external link. 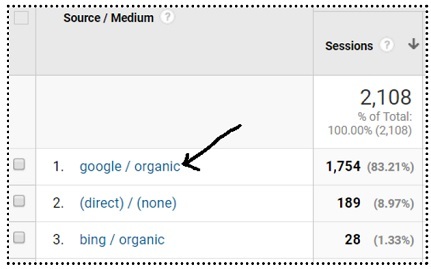 Each Google Analytics session can be attributed to only one traffic source (whether system-defined or user-defined) at a time. So if the value of traffic source changes in the middle of an existing Google Analytics session, it causes the current GA session to end and a new session to start. Because of this reason, when you tag an internal link, it could trigger new GA sessions and thus inflate your session data. In short, use UTM parameters to tag only external links. If you are using the auto-tagging feature of Google Adwords then you don’t need to tag the ad URLs of adwords ads. 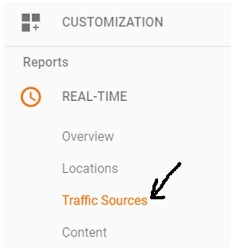 Any traffic source/medium which Google Analytics can automatically detect and report on, does not need to be tagged. For example GA can automatically detect all well known search engines. So you don’t need to tag links from search engines. Tag an external link only when you want to send some extra information to GA.
For example, when a user visit your website from Facebook, GA automatically detect the Facebook referrer and tie the user’s activities with the referrer. So you don’t need to tag Facebook links for that purpose. However if you want to know, exactly which Facebook campaign sent traffic to your website then tag the facebook links. 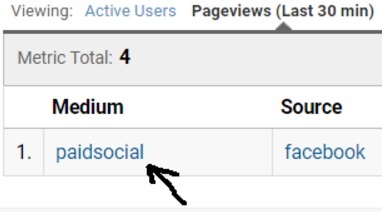 Note: It is not required that the UTM parameters should remain appended to a link, until the end of a Google Analytics session. They just need to be present when a landing page loads for the first time in a web browser. If all the parameters remain intact then most likely your UTM parameters are working correctly. Where to find Custom Campaign data in Google Analytics? UTM parameters not working and how to fix them. #1 Somes websites do not allow arbitrary URL parameters and serve an error page when a UTM parameter is added to a URL. Ask your developer to allow UTM parameters in the URLs. #2 URL redirects (301, 302, HTTP to HTTPs redirects or redirect from desktop to mobile website) can cause UTM parameter to be dropped from the landing page URLs. When UTM parameters are dropped, the campaign tracking doesn’t work and campaign data is not sent to Google Analytics. Ask your developer to send UTM parameters along with redirects. If that is not possible then tag the destination ad URLs (where a user eventually lands after a redirect). #3.1 Google Analytics Tracking code on the landing page is not valid. #3.2 GA tracking code is valid but not fired for some reason. #3.3 GA tracking code is embedded in an IFRAME and the IFRAME is not a parent frame. If GA tracking code is embedded in an child frame then it can’t read the campaign tracking values as a child frame can’t read the address URL of a parent frame. So make sure GA tracking code is always embedded in parent frame. #3.4 Your web server is altering or truncating the UTM parameters. #3.5 Your view filters do not allow custom campaign data.